These days you don’t need to be technology-savvy to be glued to your phones, tablets, and computers. Our fear of missing out on business, family and friends pulls us to check the news, social media, email and text. Here is the thing: society is more connected than ever. Our colleagues and friends span the globe; with just one tap, we can be included in their lives, their adventures or their decisions. Technology is useful to remind us of our tasks, prioritize our obligations and build on our relationships. We are driven to complete our “To-Do list”. Our compulsion to complete our tasks isolates us from our loved ones, friends and acquaintances. What’s worse, is when we can’t finish our obligations (real or self-imposed), we feel frustrated. This regular frustration and not spending enough time with our family makes us less happy. The result is that many of us feel lonelier than ever, anxious, nervous and irritable. Do you go out with friends and spend more time on your phone? Is your phone the first thing you see when you wake up in the morning and the last thing you see at night? Did you celebrate when the waterproof phone came out in the market so you can take it into the shower? Transcendental Meditation helps women find balance & happiness. Sitting resting with your eyes closed is relaxing, but the Transcendental Meditation technique is over twice as relaxing. 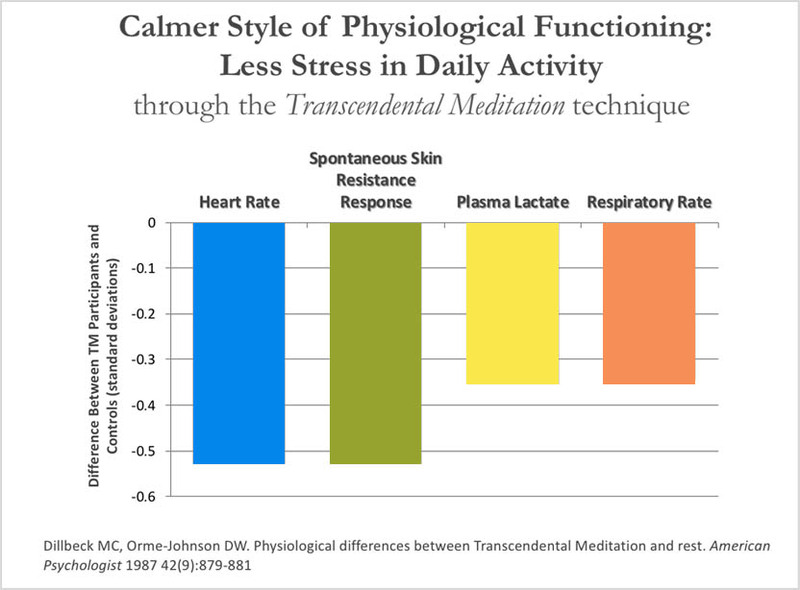 A meta-analysis of 32 physiological studies published in American Psychologist found that the TM technique produced over twice the effect as rest on major indices of stress, respiratory rate, plasma lactate and basal skin resistance.